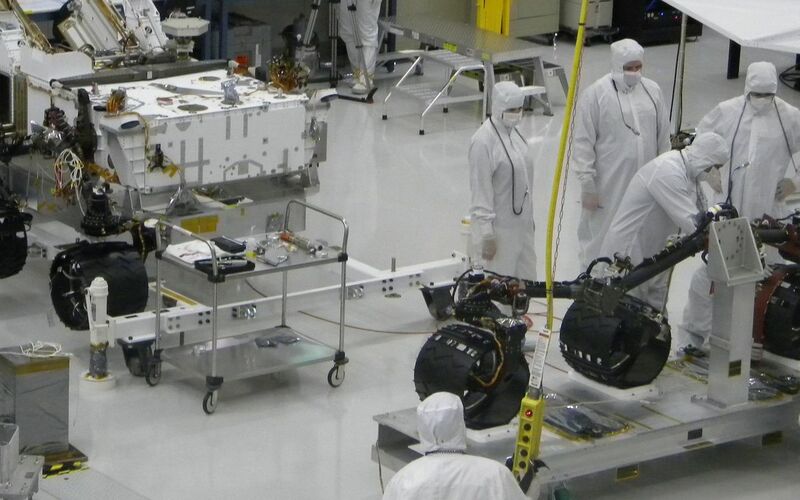 With the wheels and suspension system already installed onto one side of NASA's Mars rover Curiosity the previous day, spacecraft engineers and technicians prepare the other side's mobility subsystem for installation on June 29, 2010. 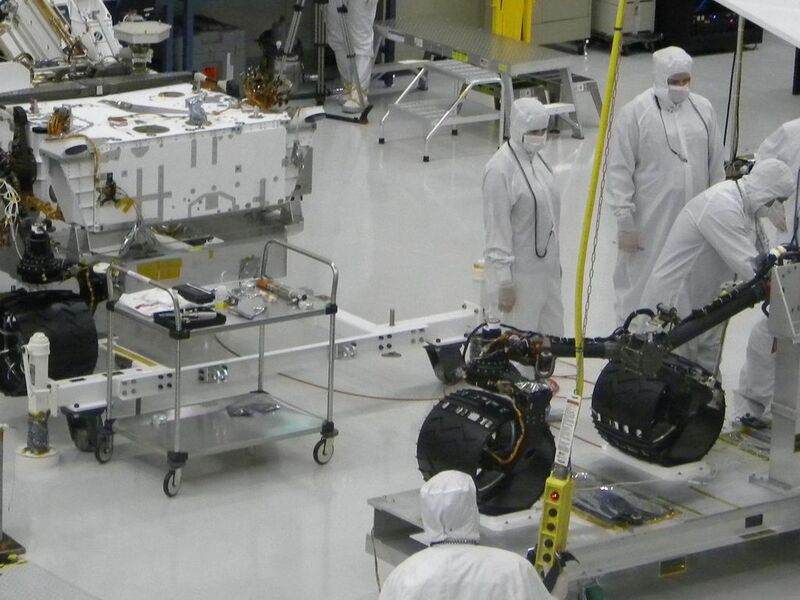 Personnel for NASA's Mars Science Laboratory mission are assembling and testing Curiosity, plus the mission's cruise stage and descent stage for launch from Florida during the period Nov. 25 to Dec. 18, 2011, and arrival at Mars in August 2012. 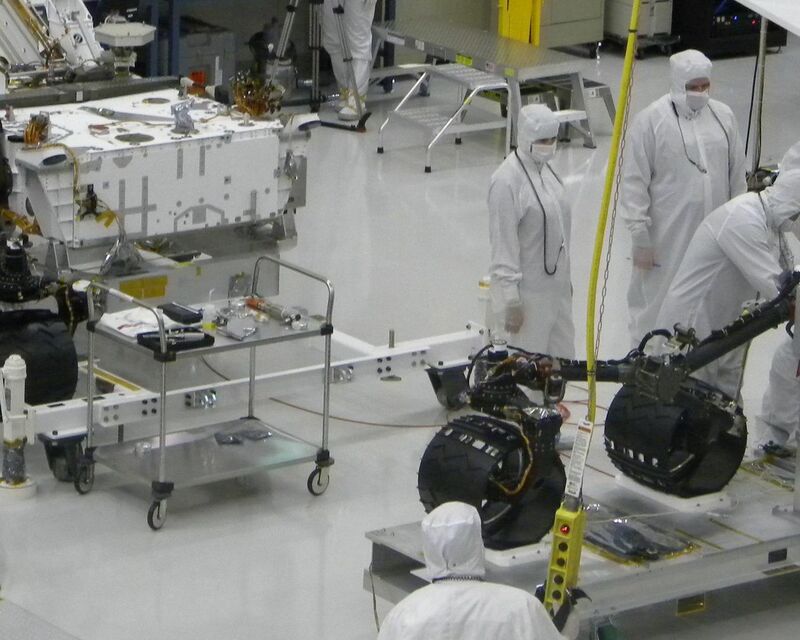 This scene is inside the Spacecraft Assembly Facility at NASA's Jet Propulsion Laboratory, Pasadena, Calif.